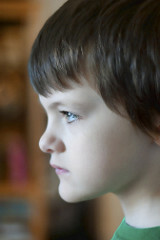 Autism and Sensory Processing Disorder (SPD) are two different diagnoses, however, they are similar to each other. There is no known common or single cause of Autism or SPD, and symptoms displayed can vary significantly from one individual to another. However, what is common is that the Central Nervous System has been impacted, driving the hyperactivity, behavior problems, social and sensory processing issues that we see in children & adults suffering from these conditions. The focus of Chiropractic is the removal of nerve interference. It’s not uncommon to see infants and children with some degree of spinal misalignments, which may not cause physical pain but may disrupt messaging within the nervous system, which can have a direct influence on behavior. Depending on the location and severity of the interference, it can generate the same issues (symptoms) we associate with Autism and SPD. Chiropractic is not a cure for either, but by removing interference within the Central Nervous System, it can have a direct impact on the symptoms associated with Autism and SPD. Call our office today to see how we can help or attend one of Balance Body Chiropractic’s workshops to learn more about the benefits of chiropractic care.